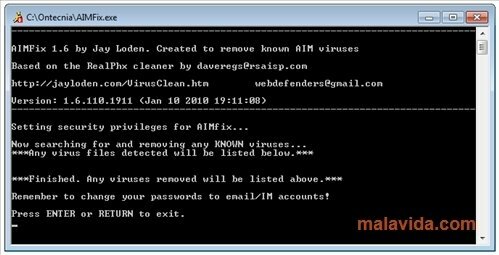 The users of any instant messaging client are usually easy targets to cheat or have a virus installed on their computers, so clients like AOL Instant Messenger, or AIM, need the protection of programs like AIMFix. We have all received on some occasion the typical message from a friend written in another language and that invites us to download a file that are "supposed" to be photos. Nevertheless, if instead of quickly clicking on the file, we just think for a moment, we'll usually reach the conclusion that our friend's computer is infected with a virus that is trying to spread by email, intending to deceive us. 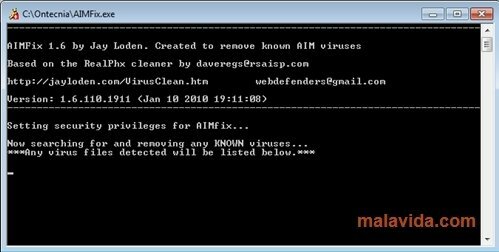 So that this kind of virus doesn't spread, the best thing is to launch AIMFix now and again, because if fixes the security failures in AIM and removes malicious code if it finds it. 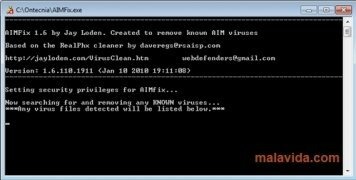 So if you want to eliminate any threat, whether a virus, spyware, trojan or malware in general, the best idea is that you launch AIMFix now and again, to make sure that your AOL Instant messenger is clean and disinfected.